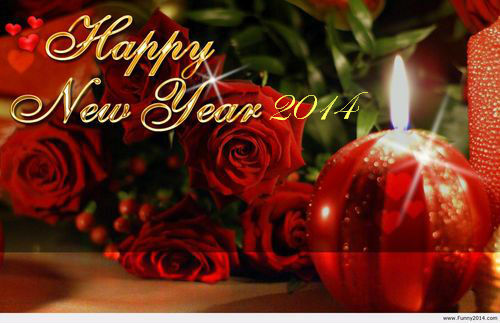 Empowerment Moments Blog: Welcome 2014, A Year That Is Crowned With God's Goodness! Welcome 2014, A Year That Is Crowned With God's Goodness! With the new comes new hopes, dreams, aspirations, goals and for many new year resolutions. It is always an exciting moment! God has been so gracious and kind for allowing us to see this brand new day, this brand new year. We could not have asked for more! So much is in store for us! We are moving from our history into our destiny. God has already crowned the year with His goodness and His abundance. It is the year of elevation and transition, double-fold blessings and divine completion of things that God had already begun in the year/s gone by. God is going to hasten His word to perform the things that concerns us. And whatever you have in mind to do, be sure to pursue your purpose in God with a passion! It is also the year when we draw even more closer to God. These are the last days we are living in and it is not His will that any should perish but that we should receive His salvation and experience life everlasting. It is my prayer that each one would grab hold of the opportunity of now as tomorrow is promised to no man. Accept the free gift that God has purchased for us through His Son Jesus Christ for without Him we are lost. May God bless you exceeding abundantly above all that you could have ever asked or think of. May you know the joy of love to soothe all tears away. May you find forever and true friends to walk beside you each and every day. I pray good health and happiness, new grace, new dreams, visions, new divine covenant connections, new favor, new ideas, strategies, promotions, new mind-set and attitudes, increased wealth and finances!! Wonderful words to start the new year! Happy New Year to you and yours! Thanks Kalley for being there for me. More blessings and empowerment to you in this new year. Looking forward to what you will be sharing with us on Blogging While Nursing @ www.bloggingwhilenursing.com and your other social media sites. Amen to all your prayers. Wishing you and yours a very wonderful, prosperous and fulfilling new year. Hi Abiola, thanks for stopping by. Happy New Year and blessings in abundance to you! Thanks so much for stopping by An Alli Event and leaving such a sweet comment. And I'm so glad I hopped over to your blog. I enjoyed reading your post and I am looking forward to God's abundant blessings in 2014! Great word! Hi Alli, a warm welcome and thank you for taking the time to stop my blog. It means so much to me. May God bless you richly and favor you exceeding abundantly more than you could ever imagine. A beautiful post & hope for us all. "We are moving from our history into our destiny." I just loved that! So glad that I stopped in from the SITS this morning. May this be the year that we each experience God in fuller & richer ways! Blessings!!! Hi jviola79, a warm welcome to you SITS and thank you for leaving such a heart warming comment! A blessing in itself that you took the time out to do so. May God's blessings in your life be in full abundance, and may all that you have prayed for, hoped and dreamed about be made manifest in your life this year! Blessings!